More than a fifth of children stabbed in London are attacked on their way home from school, researchers have warned. Doctors said there was a ‘significant peak’ of knife attacks on under-16s between 4pm and 6pm on weekdays. 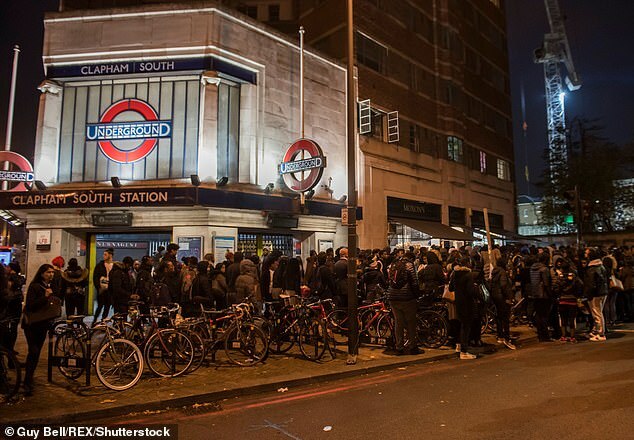 The report, published in the BMJ Open medical journal, follows widespread concern about violence on Britain’s streets. 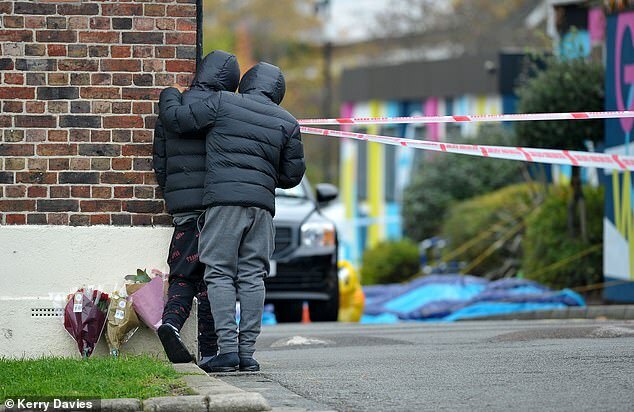 A 16-year-old rapper yesterday became London’s fifth stabbing victim in under a week as the number of people knifed to death in Britain this year hits 250. Just last Thursday evening, 15-year-old Jay Hughes was killed by a stab wound to the heart when he was attacked outside a takeaway in Bellingham, south-east London. 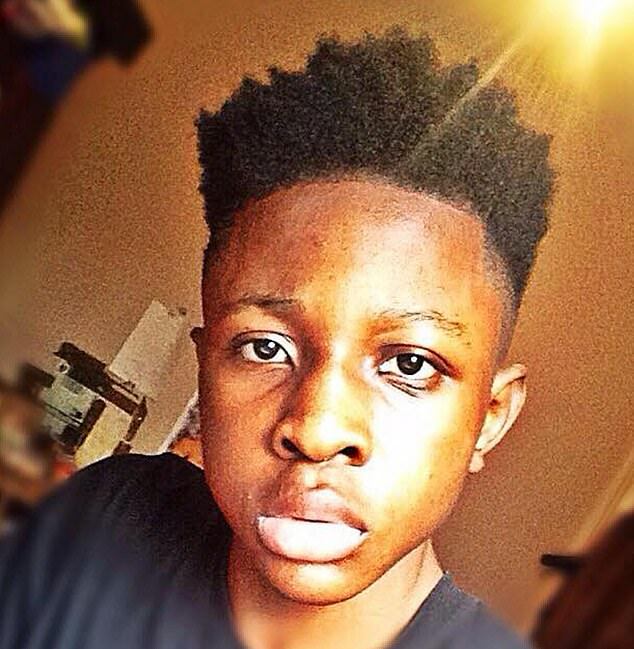 And college student Malcolm Mide-Madariola, 17, was knifed to death outside Clapham South Tube station, in front of fellow pupils at 4.30pm last Friday. The researchers, led by doctors at Barts Health NHS Trust in London, said knife injuries have soared in recent years. They examined medical records of under-25s treated for stab wounds in London hospitals between 2004 and 2014. Some 1,824 young people had been stabbed – of whom 172 were aged under 16, 861 were 16 to 19, and 791 were aged 20 to 24. Sadiq Khan today said it could take a generation for the bloody knife crime epidemic gripping London to be tackled. The London Mayor said children in primary schools have started carrying knives and to make ‘significant progress’ fighting the scourge ‘can take up to 10 years’. But his comments risk sparking fury as families of those murdered who have pleaded for an immediate end to the violence. Mr Khan told the BBC Radio 4 Today Programme: ‘It will take some time. I know that because of the lessons we’ve learnt from places like Glasgow, where it took them some time to turn this round. ‘To really make significant progress can take up to 10 years, a generation. ‘They saw in Scotland what we are seeing in London, which is children in primary schools thinking not only is it OK to carry a knife, but it gives them a sense of belonging in joining a criminal gang and it makes them feel safer and they see nothing wrong in getting involved in this sort of behaviour. ‘On one hand, we’ve got to be tough in relation to enforcement. That’s why we’ve got officers as part of the violent crime task force doing intelligence-led stop and search, taking knives off our streets, guns off our streets, making arrests. Timings and locations of stabbings were gathered from ambulance service data as well the hospital trauma registry. 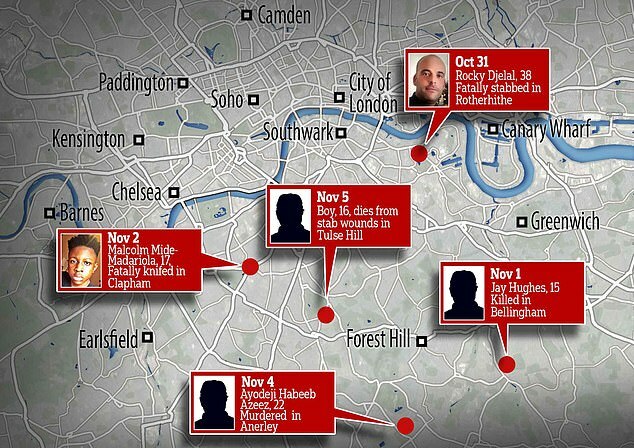 The majority of attacks were within three miles of the victims’ homes, the figures showed. Between 2004 and 2014, the number of stab wounds treated in London hospitals increased by an average of 25 per cent each year. ‘Interpersonal violence involving knives is a major public health problem,’ the researchers wrote. The authors wrote: ‘In children the spike in frequency in the late afternoon and early evening was attributable to incidents occurring on school days. They wrote: ‘The sharp increase in stab injuries between the ages of 14 and 16 suggests that educational programmes and other preventative interventions are best delivered in primary or early secondary education. ‘We have shown that assaults resulting in penetrating injuries occur in distinct age-related patterns. ‘Specifically, the period immediately after school accounts for a large proportion of incidents in children, and these predominantly occur close to home and school. The doctors recommended schools let pupils out at different times to stop them leaving all at once, and also called for a visible police presence at bus and train stations and takeaways at the end of the school day. 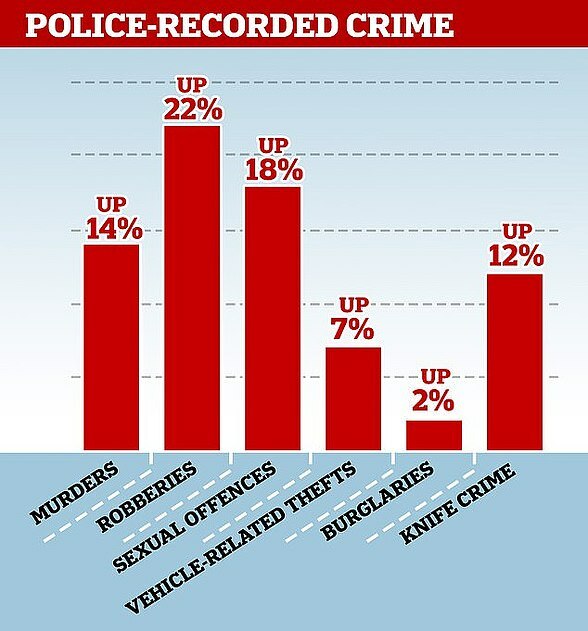 Jackie Sebire, assistant chief constable of Bedfordshire police, revealed the shocking statistic yesterday as she lamented the ‘constant torrent’ of murders and knife attacks unfolding in the UK.